On the East Coast, "CSF" means community-supported fisheries. These work like CSAs, but for seafood rather than produce. You buy a share from the fishermen; they provide a few pounds each week of whatever they catch. 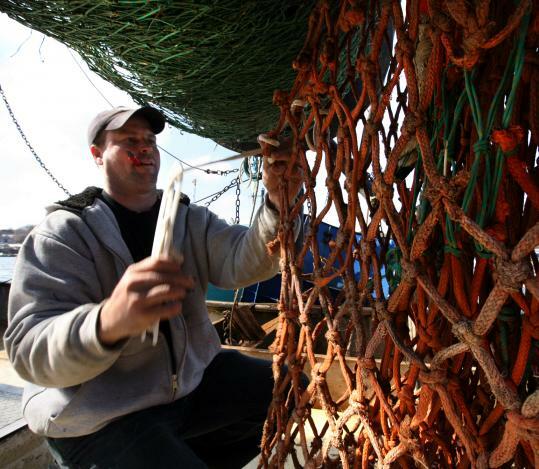 I wrote about CSFs last week, as it looks as though one will get off the ground in Gloucester this summer; I'm really excited about the prospect of getting the freshest local fish and supporting the Cape Ann fishing community. Here's a link to the story. Health inspectors: not totally psyched. Chefs: very totally psyched. It's a cool story, and it points out how complicated it is to forage for food in the modern world.